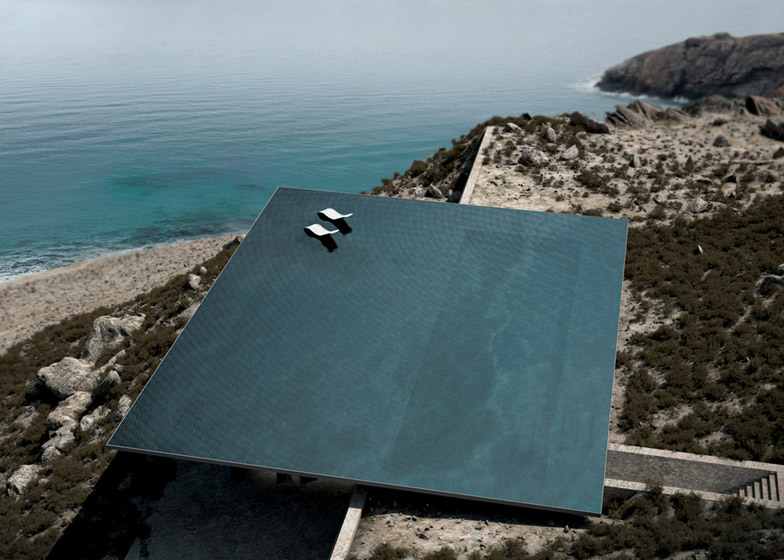 Is there water on that rooftop, or is it just a mirage? 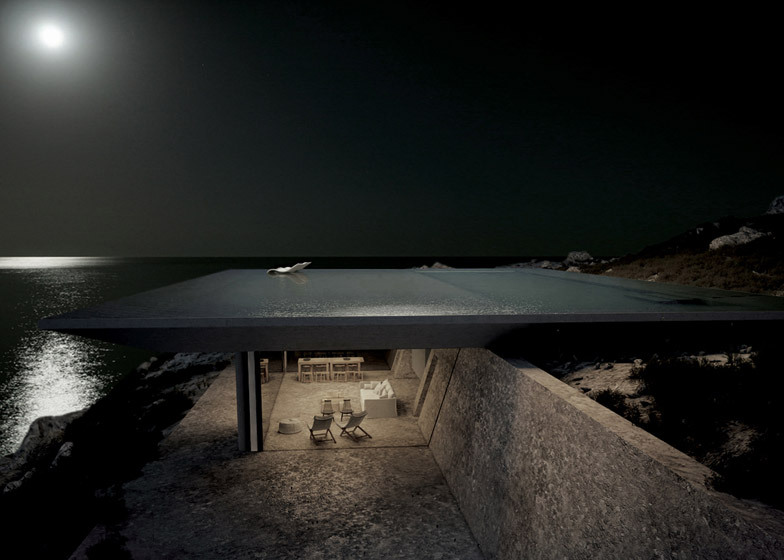 It’s hard to tell until you approach this hidden home, nestled into the hills of Tinos Island in Greece’s Cyclades archipelago. 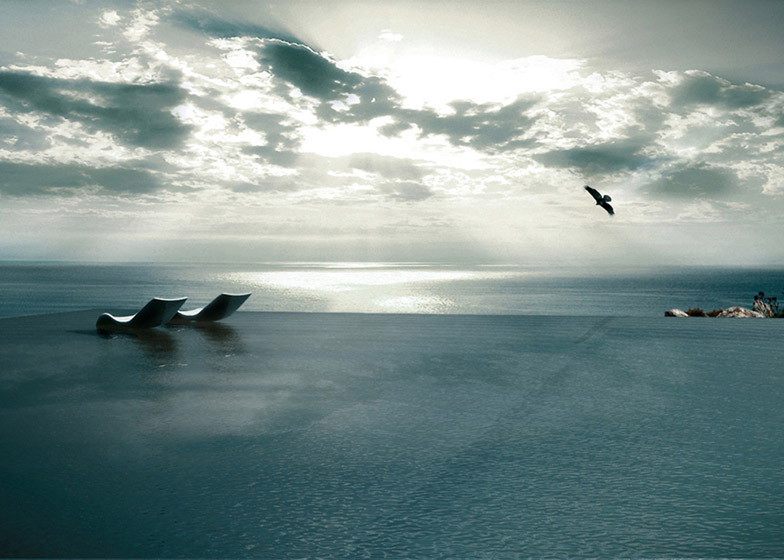 Athens-based Kois Associated Architects created an infinity pool on the flat, cantilevered rooftop of the appropriately named ‘Mirage House’ that seems to blend into the adjacent Aegean Sea. 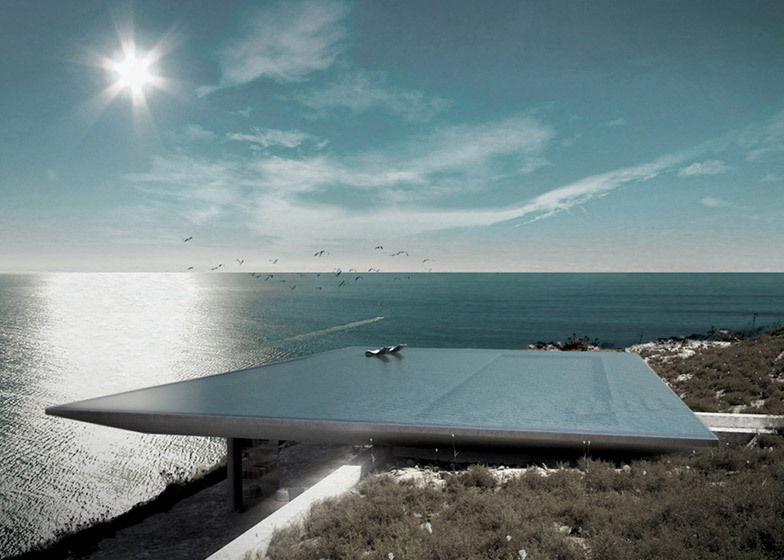 From ground level, that sparkling water is the only part of the house that’s visible to onlookers, and it’s difficult to tell where it ends and the sea begins. 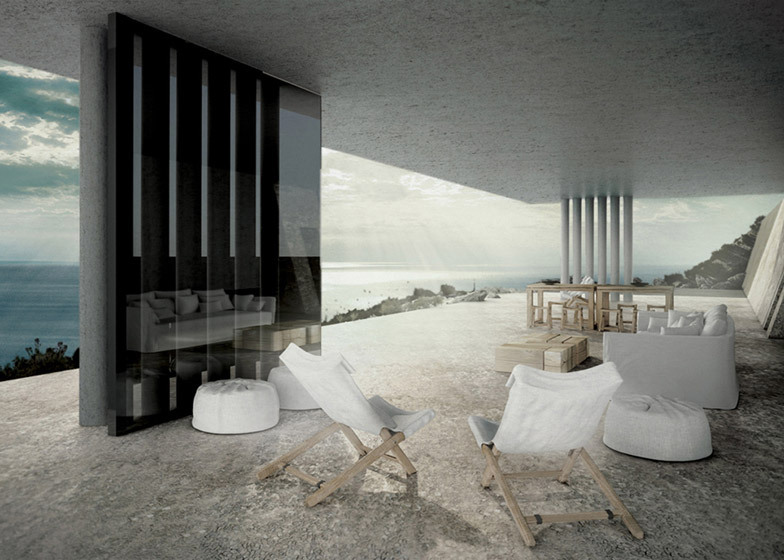 Kois Associated Architects envisioned the home as “an invisible oasis” with all of the interior spaces tucked into the rocks to create a cavernous feel. To grant their clients’ wish for a home that was virtually undetectable and as private as possible, the firm decided to mimic elements of the landscape. 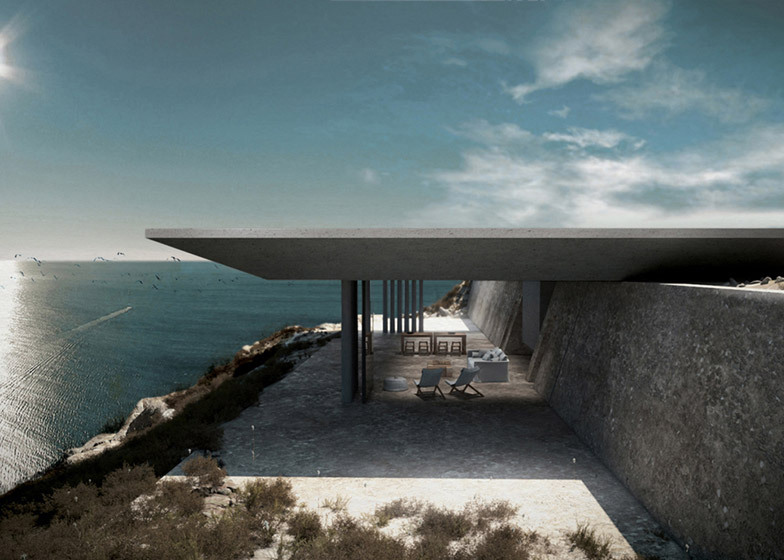 The visible parts of the home fronting the sea are made of dry stone, echoing both the natural rocks of the cliffs and the vernacular architecture and infrastructure of the island. The single-level structure features rammed earth walls in the rear of the home. This ancient building technique produces walls that are strong, durable and noncombustible, naturally balancing the temperature and humidity levels with their thermal mass and breathability.